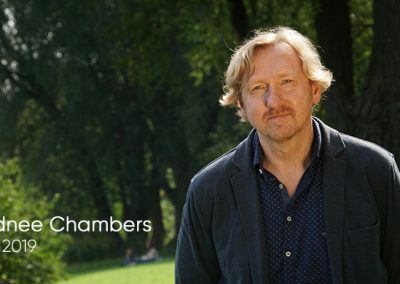 The news about the passing of Bradnee Chambers on January 23rd 2019 was a shock that has hits us without comparison. It is hard news to accept, and leaves us saddened and mournful. 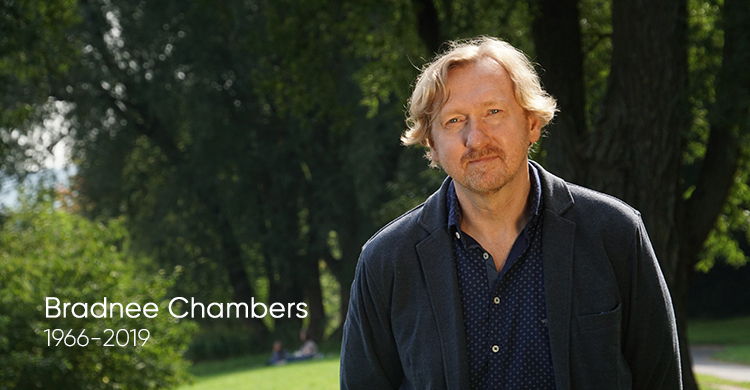 Since 2013, Bradnee Chambers had been the Executive Secretary of the Convention on Migratory Species (CMS). He and his wider team, within the so called CMS Family, have become part of our daily working lives. Soon after he took the position, it was obvious that a man with passion and vision had arrived at the helm of the CMS ship. A man who was infectious with his ambitious thoughts and plans. A person who believed civil society participation made conservation action work. His attitude and charisma imbued our shared projects with positive energy, and we watched his team thrive and enjoy their work. Whether it was a meeting with him or his wider team, participation at a Meeting of the Scientific Council, the Standing Committee or the two Conferences of Parties of the CMS (in Ecuador 2014 and in the Philippines 2017), he approached us and the work with joy, ambition and motivation, and created an extra level of positive vibe around him. 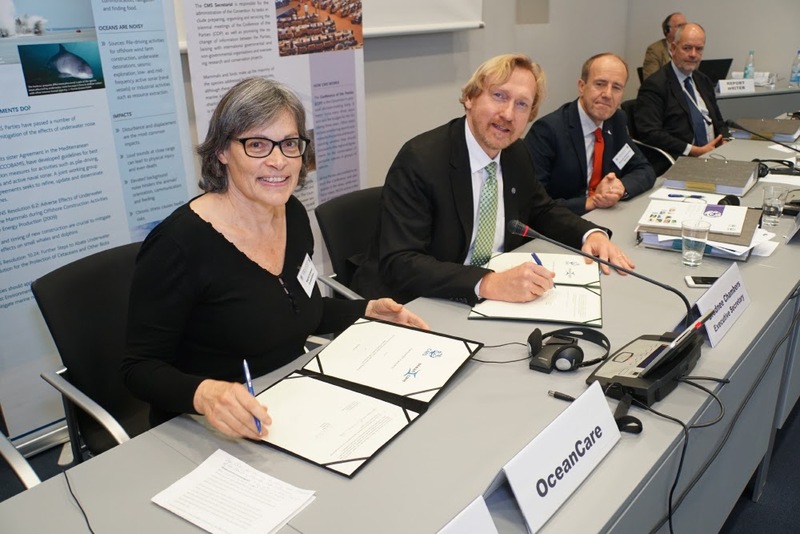 So, it was a very special moment for us when Sigrid Lüber, OceanCare President, signed a Memorandum of Understanding (MoU) with Bradnee Chambers representing the CMS Secretariat formalising the relationship between the two organisations. 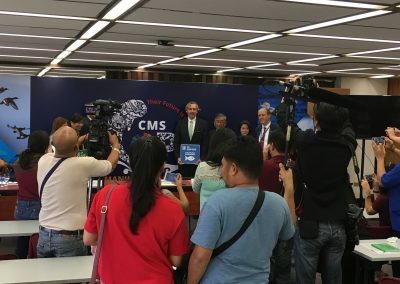 At the same signing ceremony, he also signed an MoU with the Chinese conservation foundation CBCGDF sending a strong signal that he intended to proactively collaborate with civil society in a country yet not a Party to CMS. He was ambitious to bring the Republic of China and other nations on board, enlarging the CMS Family—an objective, we all supported and will continue to work towards with him always in our thoughts. 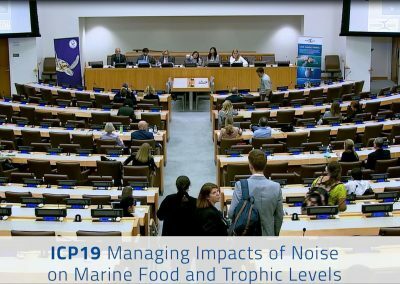 We were proud to deliver the CMS Noise Environmental Impact Assessments (EIAs) Guidelines, and honoured by his trust in Wild Migration. When Bradnee arrived at the 12th Conference of the Parties which took place late October 2017 in Manila, he had just lost his beloved wife. Arriving at the scene, strongly impacted and sad, the whole meeting witnessed a man determined to escape his sadness by rolling into a performance so passionate and strong, and with the support of his team, delivering the COP where everyone silently asked the question “how is this even possible?”. In collaboration with so many, he convinced the Parties that the Convention needed to have a review mechanism and compliance regime to put decisions and provisions into practise. We all knew that conservation could work only when such an instrument was accepted. And he did it. We all did it. One of his many visionary, energetic projects was born. When the conference came to end, we approached him after the final press conference was over. He walked straight to us. We shook hands, and he enthusiastically engaged with ideas about the next challenges ahead. This is how we will remember him. Restless and caring. Passionate and visionary, even through his personal pain. He didn’t want us to see that pain. He wanted to move on with a smile. 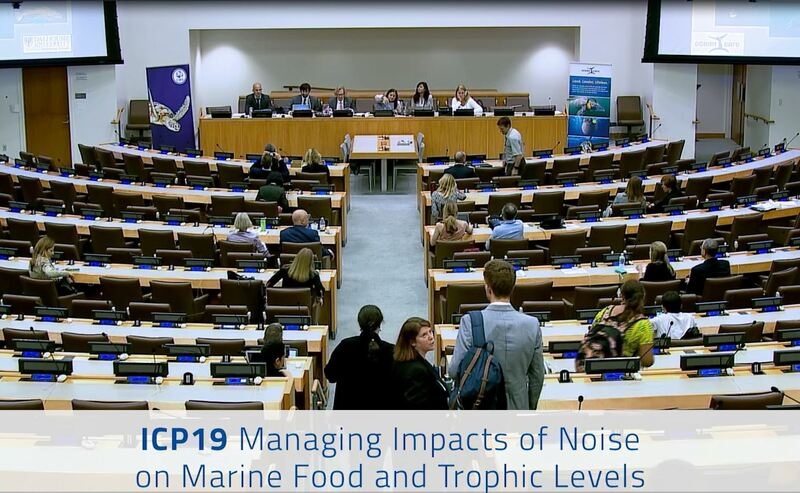 Since then we have met several times, including in New York at the ICP meeting in June 2018 when Bradnee joined us at a side event about the urgent need to address ocean noise pollution, where we showcased the CMS Noise Environmental Impact Assessments (EIAs) Guidelines that had recently been adopted at the CMS COP. Whether it is polar bears, beaked whales, sharks, lions, giraffes, or the avian artists on their flyways, they all somehow honour Bradnee Chambers, and so do we. 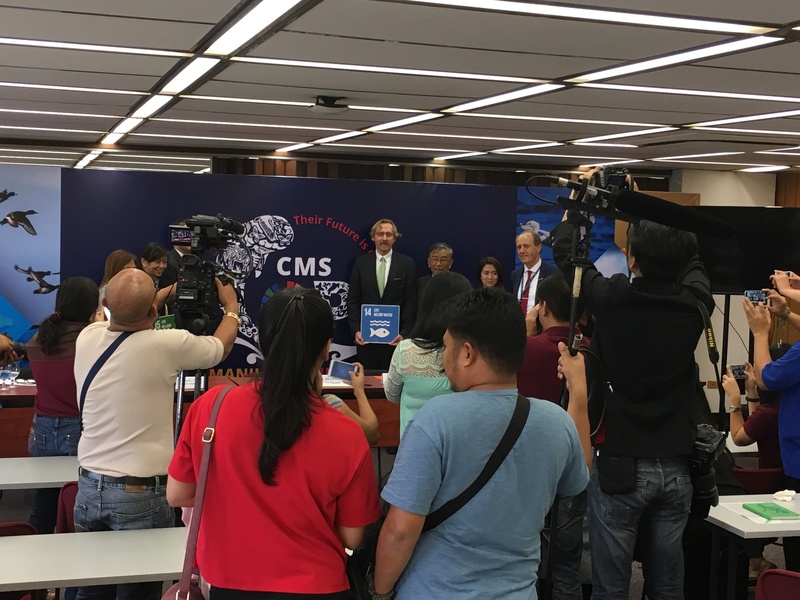 Our hearts and thoughts are with his family, in particular his daughter Ena, and his colleagues in the CMS Family. Bradnee, thank you so much for your positive footprint on this planet—a path we will continue to walk with you, wherever you are.